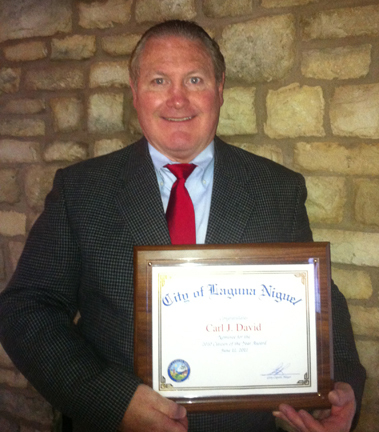 Carl David, director of Columbia College–Los Alamitos, was nominated for the 2010 Laguna Niguel Citizen of the Year Award recognizing community members whose volunteer service has had a significant impact on the city. “Being nominated for this award is an honor, and I’m proud to be in such great company,” said David. David has been director of Columbia College–Los Alamitos since 2009. The campus, located on the Joint Forces Training Base, is part of the college’s extended network of more than 30 Nationwide Campuses across the country. David lives in Laguna Niguel with his wife, Amy, and children, Sarah and Andrew.